The office as we know it has seen drastic changes, just over the last 10 years. The standard 9-to-5 workday might be a thing of the past. But is this all for the better? How and when did this change happen? The idea of comfort and flexibility at work seems to be a no-brainer, especially for the modern worker in their 20s and 30s. But anyone living with student loans, saving up for a home, trying to plan their financial future, and managing credit card debt from all the above—all while struggling to find a stable career—knows that this is no longer an easy option. Millennials have come to accept they will likely have much longer careers than their parents or grandparents ever did, and perhaps with even less financial reward in the end. So, if you’re going to spend ten more years in an office than any previous generation, wouldn’t you want to be in a more comfortable, inviting, and overall more productive office that you actually enjoy being in? Walk into any modern office building today, and you probably won’t see rows and rows of high-walled cubicles like you would’ve 30+ years ago. 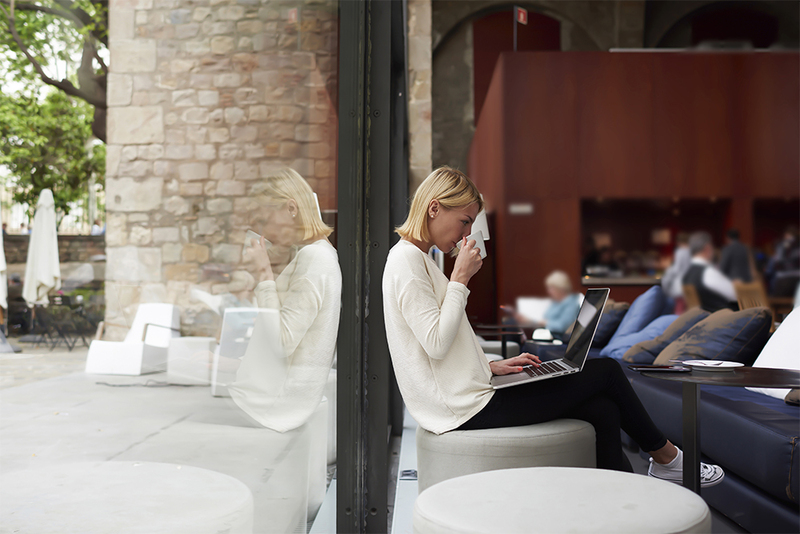 This change is far from new—most offices today welcome and embrace an open workplace flow. It opens communication, creating and strengthening relationships among coworkers and between departments. Not to mention—the lack of walls allows much more natural light to get in. It’s almost impossible to feel ‘trapped’ in an open office layout. An open office that is shared among all levels of the employment hierarchy makes it easier and more comfortable for anyone to approach upper management, or to collaborate with others. Plus, it makes the office layout extremely flexible—you can move desks and equipment around without having to worry about uprooting cubicle walls. A bit of change does the mind and body good every now and then. While that sounds positive for engagement, is it as positive for productivity? More openness ultimately means less privacy. And that might mean a complete loss of focus and an inability to just put your head down and work. With heightened social aspects comes more noise, more stress, and less concentration. WIth all of the above considered, it might be best for offices to make changes slowly, and to meet somewhere in the middle of a cubicle and a completely open office plan. Yes, it’s important for employees to feel like they can collaborate with one another, but they shouldn’t have to sacrifice their concentration to do it. Standing isn’t just for labor-intensive work anymore. Time and time again, research shows that we are overall more productive and healthy when we have the opportunity to stand while we work. Sitting for long periods of time will make you less focused and more sluggish, leading to a foggy brain that makes it difficult to concentrate. The standing desk aims to fix just that, and so far, it has been pretty successful, with some offices even making it standard for all employees to have adjustable desks. But, be warned—transitioning to standing for longer periods of time will take some adjustment. Once your body gets used to it, though (typically after a couple of weeks), you will notice feeling more energized. This translates to a happier, more efficient workplace. Most employers wouldn’t argue with that. The typical traditional office doesn’t focus much on health and wellness (aside from health insurance coverage, of course). In the past, offices were designed to satisfy basic functional needs and that was it. Desk, bathroom, fridge, microwave, maybe a break room. Employee happiness wasn’t considered—they could worry about that themselves when they went home for the day. The office was where you went to flip the “on” switch in your brain and get to work. This model has seen incredible change since then. It’s no secret that extended time in a stressful office environment can take a toll on mental and even physical health. Now, employers are doing their best to ensure the comfort of their staff, due to the increased hours spent in the office and possibly some work away from the office (looking at you, weekend emailers!). The average millennial values a proper work-life balance. With that in mind, employers are thinking more and more about their office, and how they can foster happiness and wellness in the workplace. Workplace culture matters, and it can make or break an employee’s experience in the modern office. Culture makes employees want to spend time at work. Now, we’re not saying every office needs a gym, a masseuse, a nap room, and a chef—but it’s easy to see why any one of those things would make employees happy to be at work. Emphasizing the balance between work and play is key in the modern office. Happy workers are productive workers. 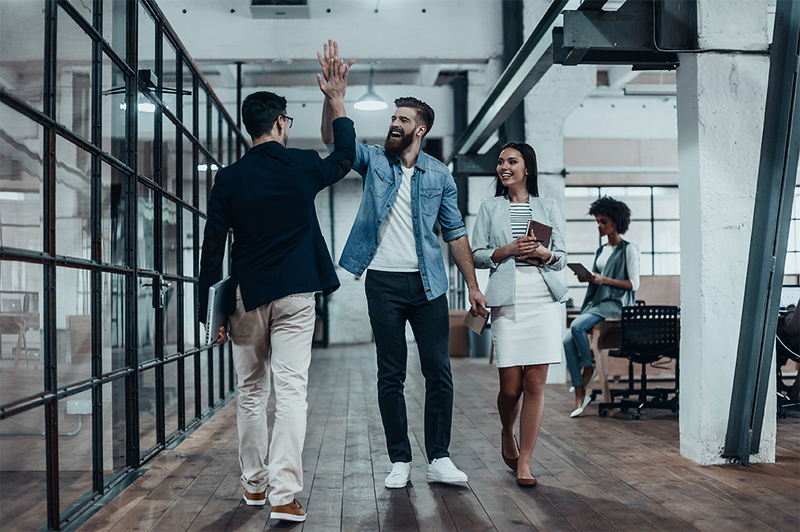 Productive, happy workers are likely to be in it for the long haul, reducing turnover rates and saving employers money. It’s a win-win—no wonder there’s such a huge focus on positive company culture. Ever have one of those days where you finish everything on your to-do list at 2:30 and are stuck looking busy until 5:00? Those days could soon be over. Many bosses and managers are slowly switching gears, focusing on productivity rather than on hours worked—paying for performance, not attendance. From a managerial point of view, should an employee who puts in extra effort toward a job well done be paid just as much as one who puts in the bare minimum? Paying by performance is a huge motivator for employees to do their job excellently and thoroughly, especially if the option is open to take on extra work. Who really wants to do extra if they aren’t being paid to? When an employee sees that each task they do has direct value, they will feel more connected to the company and its core mission. They will see that their work has real, tangible purpose. Flexibility is something that requires trust and moderation, especially in a workplace that encompasses everything we’ve mentioned so far in this article. In a traditional office setting, there is little to no flexibility. You come in at 9:00 am. Lunch is at 1:00 pm. You get back to work at 2:00 pm sharp. Then, you leave at 5. If you have an emergency, you use your paid time off. In today’s office, those lines can be pretty blurred. The main difference between then and now is, of course, the Internet, and ease of access to information. If the only two things you need for your job are the Internet and a computer to work on, what’s the point of going into the office? Because of this, many companies give their employees at least partial flexibility when it comes to their work, so long as it’s finished. The problem is: If management doesn’t set crystal clear guidelines for the employee, this could become a problem fast. For example, it isn’t exactly fair for a manager to let his staff know that they can “come into the office whenever,” and then be disappointed when half of them work from home the next day. However, a clear, perfectly balanced, flexible schedule will boost company culture and morale. Employees can rest easy knowing their bosses aren’t hounding them, and they will be comfortable and confident to work efficiently. Flexibility reduces burnout and stress, and it allows people to work when they feel their best. For managers, this is a huge transition from how things once were, and it requires a lot of trust on behalf of both themselves and their employees. Suddenly, you don’t know what everyone is doing at the turn of a corner or at the beep of an intercom. You need to trust that they’re actually working even though they aren’t in the office. For incoming employees, flexibility is a huge selling point, especially if the salary is lower than desired. Today, people are generally happier to sacrifice what they lose in money for what they gain in freedom. Managers who are stuck in the traditional-office mentality might think that anyone working from home is a slacker—but there are tons of millennials eager to prove them wrong. The modern office is here, and it’s more open, more comfortable, more flexible, and above all else, more productive. It seems like millennials could have this work-life balance thing all figured out. Is it time for the rest of us to get on board?